One of the most fundamental and basic business principles of running a low-cost airline relies on keeping your cost base as low as possible. Unlike many legacy carriers, the relatively new breed of budget airlines have developed lean operations, stripping away bloat and cost that allow them to keep fares low and (on the most part) post healthy profits. Passengers, who are increasingly choosing flights primarily based on price, see the value in flying a budget carrier even if it means paying extra for services you’d expect to get for free with a full-service airline. We’re even willing to fly between secondary airports that are further away from your intended destination because we know that keeps costs down. Oakland International Airport, about 22 miles from downtown San Francisco is just one example of where budget carriers have been able to offer low fares by avoiding the higher fees they’d typically expect to pay at a city’s main airport. 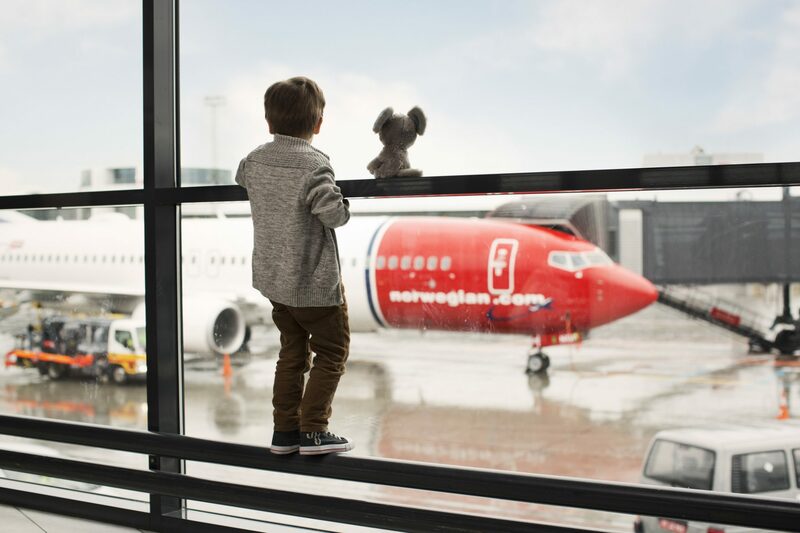 Long-haul low-cost carrier, Norwegian has used Oakland to great advantage – flying direct from Oslo, Stockholm andCopenhagen, as well as London Gatwick, Barcelona, Paris CDG and seasonally to Rome FCO. Using Oakland has allowed Norwegian to compete with legacy carriers on flights marketed to San Francisco at a lower cost than its rivals. Norwegian was competing with the established players so well on the route that even British Airways decided it needed to start a route from London Gatwick to Oakland. But are airlines starting to fall out with love with Oakland? Earlier this year, British Airways decided to “suspend” its Summer 2019 service from Gatwick to Oakland. Instead, the airline will continue to fly direct from its hub at London’s Heathrow Airport to San Francisco SFO. And fellow IAG member, the low-cost airline LEVEL switched its Oakland service to San Francisco’s main airport at the end of October. Why British Airways decided to suspend its OAK operation isn’t entirely clear. But considering the airline already has a large operation at SFO, one has to wonder whether it made sense for the airline to fly to two airports just 15 miles apart as the crow flies? It wouldn’t be surprising if LEVEL has also identified synergies by using BA’s and Iberia’s existing infrastructure at SFO rather than operating out of two airports in the same metropolitan area. Yet, Norwegian has also announced plans to ditch its London Gatwick to Oakland flight in favour of flying direct to SFO. The switch will be made on 31st March and the airline says fares will start from £174.90 one way. The move is surprising given the fact that Norwegian has just embarked on a desperate cost-saving initiative but it just goes to show the level of competition the carrier is facing on this important route. Interestingly, Norwegian will continue flying to Oakland from Oslo, Stockholm and Copenhagen, as well as Barcelona, Paris CDG and Rome where the competition isn’t so intense. In a way, this decision is perhaps more a reflection of what consumers orignating in London expect. Even more surprisngly, though, a representative for Oakland International Airport says the route has been a success for Norwegian – “Norwegian has carried over 322,000 passengers between OAK and LGW (total both ways) from May 2016 through November 2018 on almost 1100 departures,” explained a spokesperson for the airport. An average load factor of 89% isn’t to be sniffed at either. Norwegian will also face additional costs as it switches flights from Fort Lauderdale to Miami over the summer 2019 season – due to major runway improvement works set to take place at FLL next year. Boston, however, continues to be a strong performer for the airline and new routes to Madrid and Rome from Boston will also begin at the end of March 2019. Only yesterday, Norwegian announced another new route from London Gatwick to Rio de Janeiro which the airline’s chief executive Bjorn Kjos said would “break the monopoly” on direct flights from the United Kingdom to Brazil. Norwegian has made London Gatwick a really important base for its long-haul ambitions. The base has performed well but competition is fierce – especially from the IAG Group who own British Airways – and Brexit uncertainty is also causing some concern. Rising fuel prices and the need to compete more effectively with BA will only make the need to implement cost savings even more important. British Airways did not move its LGW-OAK services to SFO – Instead, it suspended the route. Norwegian will continue flying to OAK from OSL, ARN, CPH, BCN, CDG and FCO. LEVEL moved operations to SFO for identified synergies with Iberia. A comment from an OAK spokesperson. The headline has also been amended to clarify the fact that Norwegian is not “ditching” OAK.